Following last week's leak of the new pedals, Moog has officially unveiled the new Minifooger line, 5 stomp boxes utilizing Moog's classic analog circuits but with a smaller price tag and footprint. They're meant for "guitarists and bassists" but I doubt that'll stop synth heads and producers from grabbing these because of their great price. The other 3 pedals don't quite have an analog to their big brothers, but you can see there's a tremendous savings if you're looking for true Moog sound, especially for the Delay. Expect a ton more about these in the coming weeks-- more video demos, most importantly. 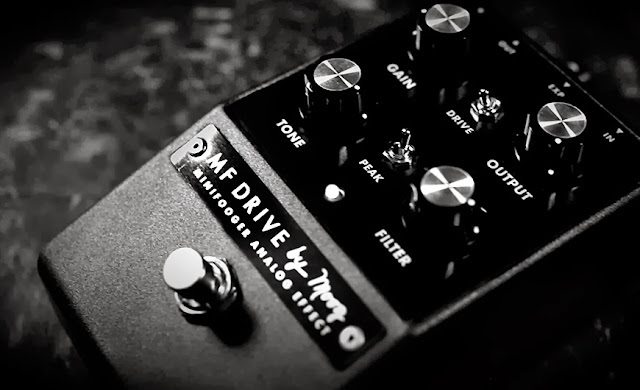 "The MF Drive is a filter-based overdrive pedal employing a Moog Ladder Filter, boutique FET amplifiers, and OTAs in its drive section making it highly reactive to picking dynamics. 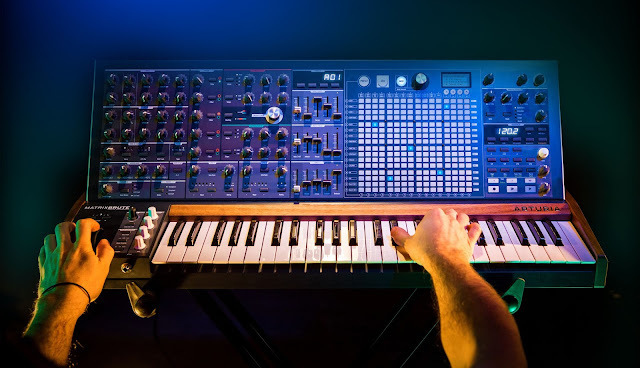 The panel features a bi-polar tone control and sweepable filter that work dynamically with input gain to offer each player unique and customizable sounds that retain the core timbre of their instrument. A filter Peak switch shifts harmonic content to the filter’s cutoff position, adding new tonal creation and dirty wah performance possibilities not found in other drive pedals. MSRP: $179. The MF Delay features 35mS-700mS of completely analog delay time. 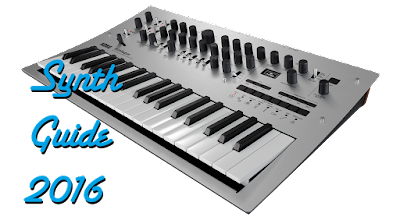 At shorter settings, repeats are fast and bright for creating classic slap-back and plate sounds. At medium and long settings the repeats become darker and naturally trail into reverb-like state. A Drive circuit allows the player to adjust the tone and feel of the MF Delay as well as overdrive the Bucket Brigade Delay line, and the input of a guitar amplifier for bigger sound and feel. Also, the expression pedal input is switchable between feedback for expressive swells and delay time for tape delay and chorus/flange effects. MSRP: $209. The MF Trem is an analog tremolo pedal designed around a balanced modulator and Sub Audio VCO. This design creates a wide range of effects that are based on phase cancellation and addition. Players can create classic optical tremolo, hard tremolo, rotary effects and more that react dynamically to harmonic content. A variable Shape control interacts with Tone and Mix to craft subtle swells and gallops to rhythmic percussive, and swirling effects. When pushed, the MF Trem can also approach the beginnings of phasing and chorus. The expression pedal input adds control of the Speed parameter for hands-free swells and rotary effects. MSRP: $189"